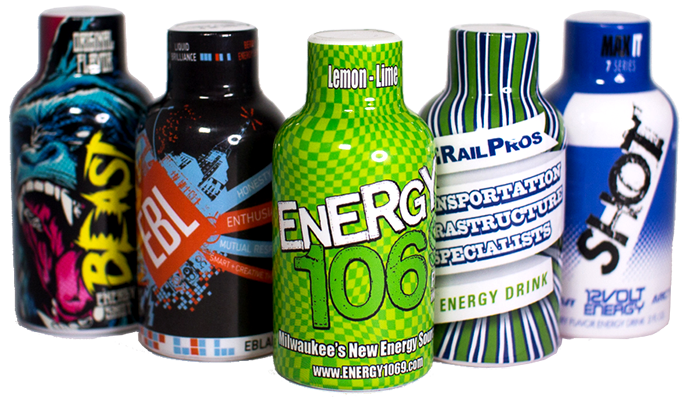 Energy Shots | Market Beverage Group, Inc.
TURNKEY 2oz, 2.5oz and 3oz private label energy shots. Low minimums and higher margins make this a very hot retail product. Popular bottle sizes and the familiar display box and shot look, give these private label shots all the characteristics needed to match market leaders and still give you chance to come in below the competition. Add them to your portfolio or promotional campaign in just weeks. We offer private label sports drinks in 2oz, 2.5oz and 3oz bottles. They are packaged 12 bottles per box (a counter display case) . However, they can be bulk packed, without the displays, 50 per box. Private label product minimums start at 10,800 bottles per flavor, exactly 1 pallet. This is 900 display boxes of 12 units.